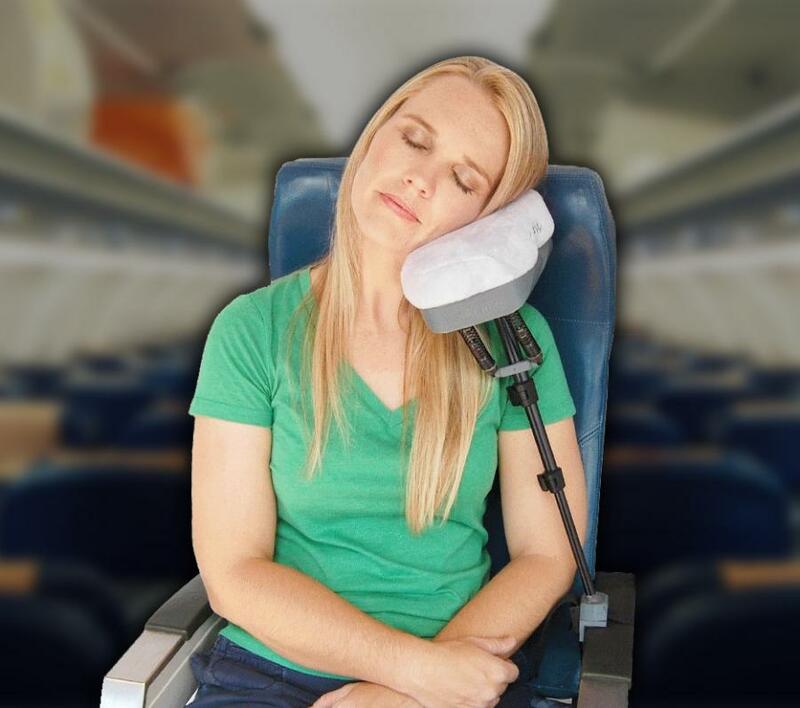 The JetComfy is a multi-function travel pillow that can do a various amount of things besides just being something to rest your head on while attempting to sleep on a plane. 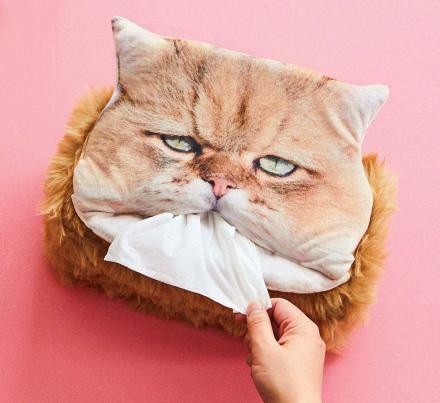 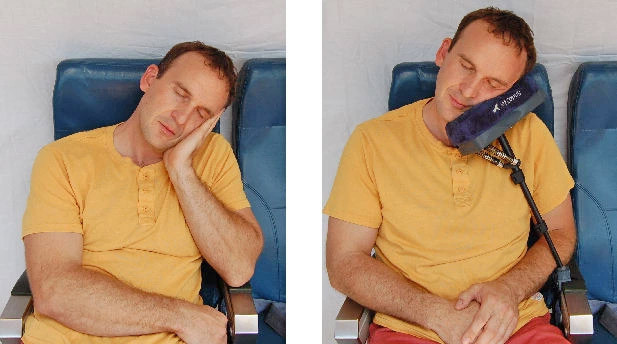 As a main function the pillow has an extendable arm that attaches to the airplane seat's arm so that it locks it in place and will act kind-of like a kick-stand for your head. 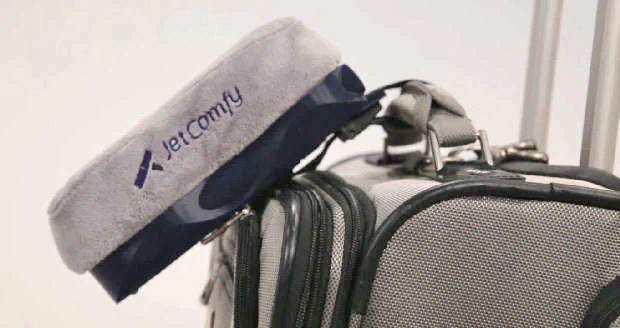 The JetComfy also features an internal 3000 mAh battery that can charge your phone, tablet or laptop while while waiting for, or on your plane. 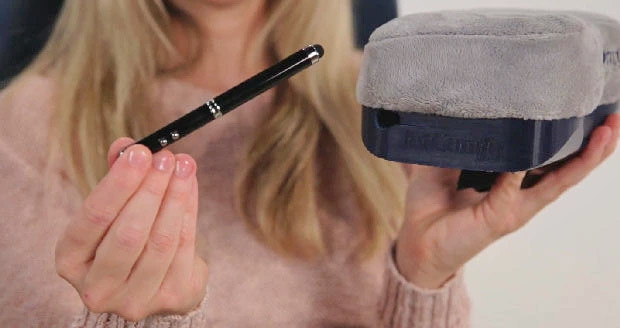 Plus the pillow also has a little hole on the side of it where it stores a pen/stylus/light, which you can use to fill out those pesky customs forms while in the pitch black of a red-eye flight, or you can use the stylus to control your phone or tablet. 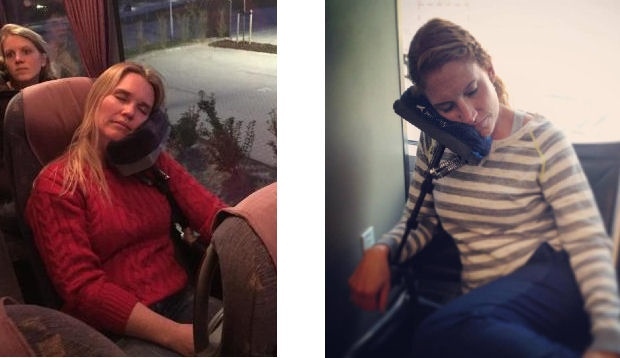 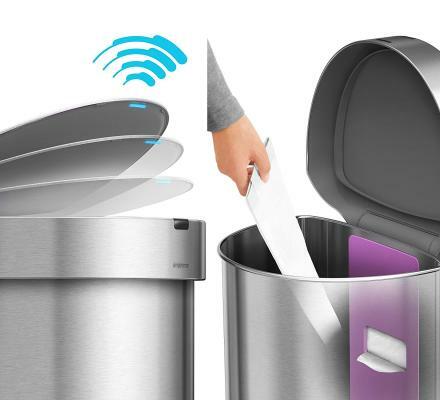 The JetComfy uses an arm that folds out of the base out of the device which then extends down to the arm of your seat. The pillow secures safely to the arm of the chair using a strap that you can fasten tight so that it won't slip off the arm when you hit some turbulence and end up with your face in the guy's crotch next to you. 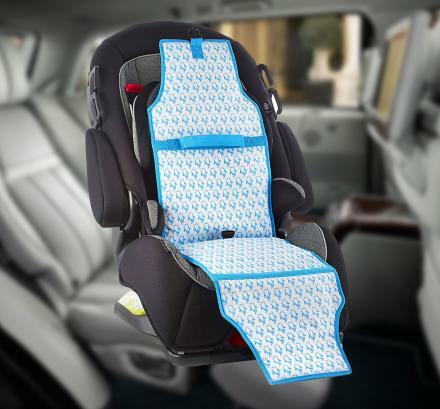 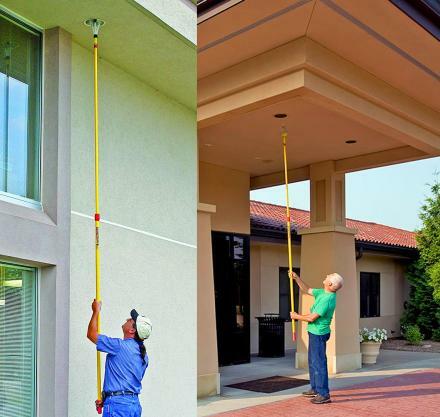 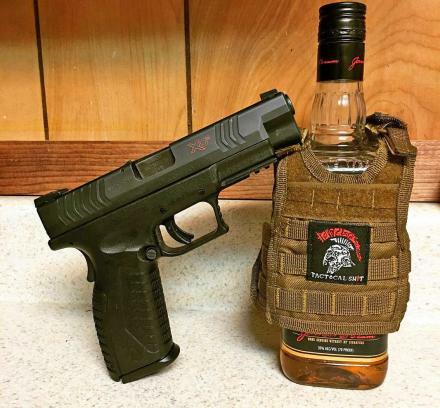 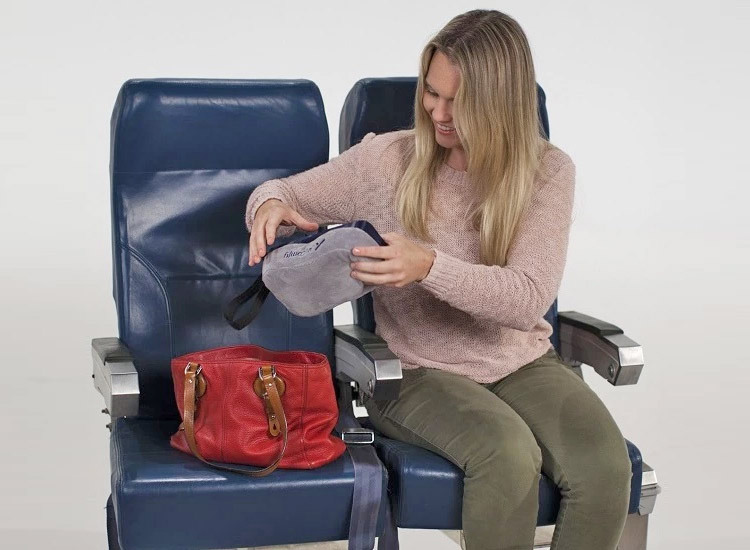 The size of the JetComfy makes it super compact and allows you to store it easily in your purse or backpack, or you can use the luggage strap to attach it right to the top of your luggage. 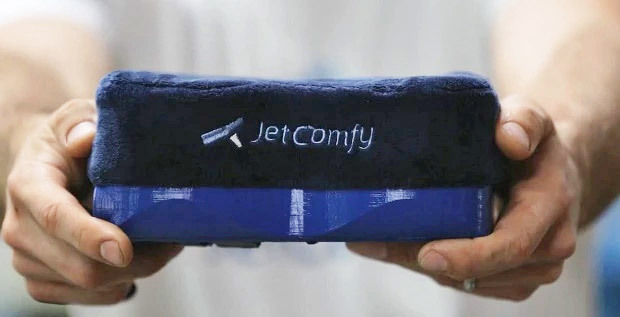 Made by the same team that brought you the Koolernaut Koozie Thermometer, the JetComfy has a removable outer lining so that you can wash it after you grease it up with your face on a 15 hour flight to Australia, or maybe you just filled it up with a load of drool after took 6 sleeping pills. 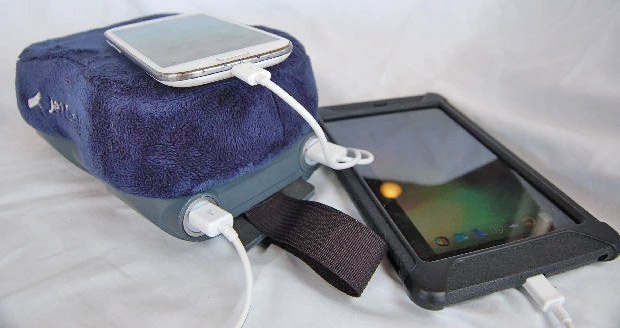 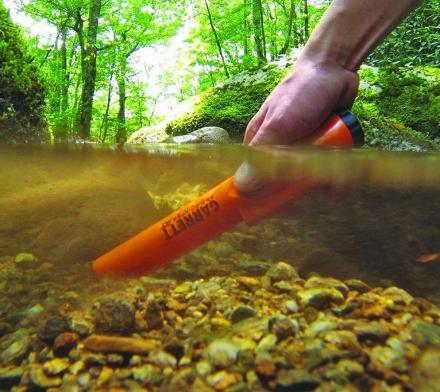 The pillow is made from 2 inch thick memory foam material, weighs just under 1 lb, and comes in two different models, a standard version that doesn't include the battery charger, and a PLUS model that that does include the battery charger. 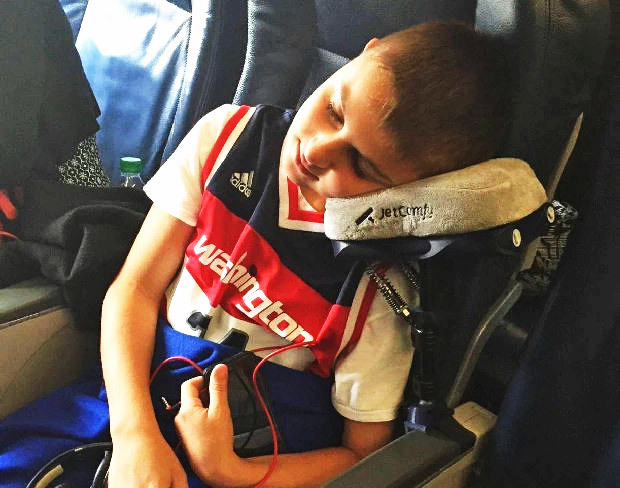 Check out the JetComfy travel pillow in action via the video below.